The time-worn rule for new classroom teachers, one never really expressed in training programs, is that you’re better off having a firm hand at the beginning than trying to tighten up later. It’s a similar approach for coaches, new or otherwise. 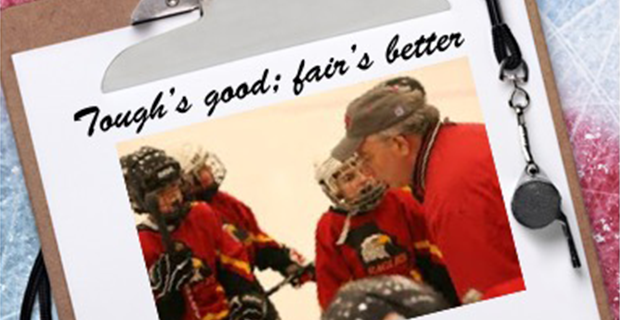 In hockey though, coaches see their players infrequently. It’s more challenging to create a consistent pattern of discipline with kids you only see for a short time. Are they more willing to listen because they’re doing something they love? Or is the opposite true, that being in sport can be a licence to unleash the inner demons they’ve corralled all day long? Coaches aren’t trained in the ways of creating a disciplined environment. It isn’t taught in certification programs and hardly ever presented in seminars or workshops. It would seem everyone assumes an adult should know how and when to discipline a bunch of youngsters. Why we think this is a good question. In conversations with coaches, they always mention how tricky a balancing act it can be, especially these days where parents are omnipresent, literally and virtually. Case in point: A bantam coach was taken to task by a parent, one who is especially loud and glib and sat on the local board. The issue had to do with the kid, a goalie, not at all doing what the coach asked his goalies to do before games to warm up. The coach approached the boy in the dressing room before one game, leaned over, and told the kid he wasn’t helping his team by just sitting there. The parent objected vehemently to the coach at a parents meeting that he had no business telling off his boy. Other parents told this one he was wrong and the coach was perfectly within his rights to verbally discipline the boy to do as instructed. The parent backed off, but remained ticked. You also don’t see many coaches who understand the importance of graduated disciplinary measures or using ones reflective of the problem rather than archaic approaches. Having kids do pushups as punishment for being last out of the room for practice isn’t productive. And therein lies the operative word: punishment. The power a coach yields is substantial, especially on competitive teams. Kids may indeed “toe the line” when disciplined or punished. But that doesn’t mean it’s the best approach. If your youngster’s teacher threw kids out of class every time they did something wrong, it wouldn’t be a very positive classroom environment nor conducive to learning. Before a coach is cornered by a thorny issue needing discipline, he has to ask himself what is a reasoned way to deal with it? You can only do so much. You’re their coach, not their parent.